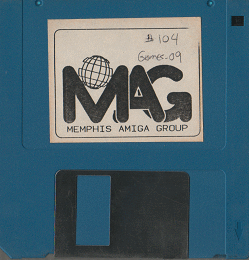 This games disk was put together for the library by Ron McCalla. Thanks Ron for your help with the library! and are believed to be in public domain or are shareware.